Dr. Veda J. Moore is our general ophthalmologist. 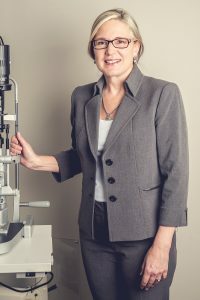 Dr. Moore received her bachelor’s degree in Biology at Pennsylvania State University and her medical degree from Jefferson Medical College in Pennsylvania. Dr. Moore completed her internship in the Department of Medicine at Mercy Hospital in Pittsburgh, Pennsylvania. She completed an ophthalmology residency at the University of Minnesota in Minneapolis. She is also a faculty member of the East Carolina University Brody School of Medicine.